Barrage nets strung across the Tonle Sap Lake, the great regulator of the Mekong's waters, trap a bounty of up to 50 tons of fish per day. 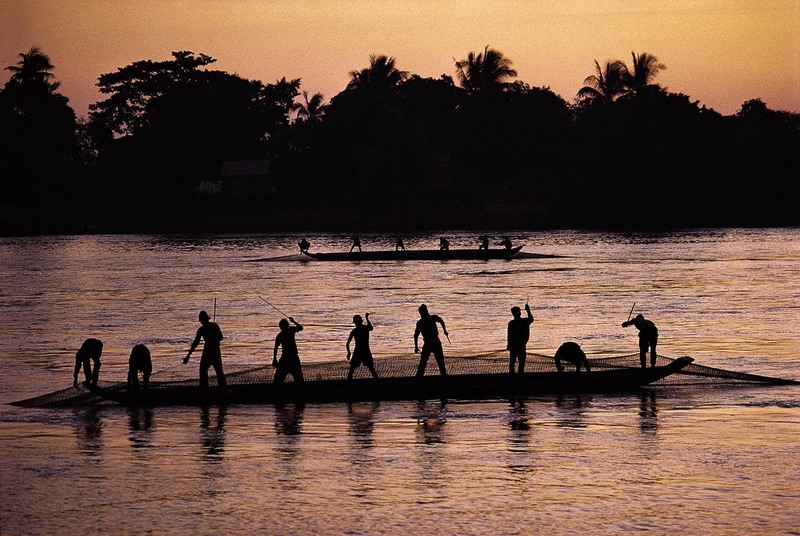 Fishermen smack the water with sticks to drive fish toward the back of the net. Cambodia.